Sorry guys. I know you are really looking forward to Crackdown 3, but it's just not happening. "But, Ron!" they say. "We saw it at E3! We saw the trailer! Say it's not so." Well, no. 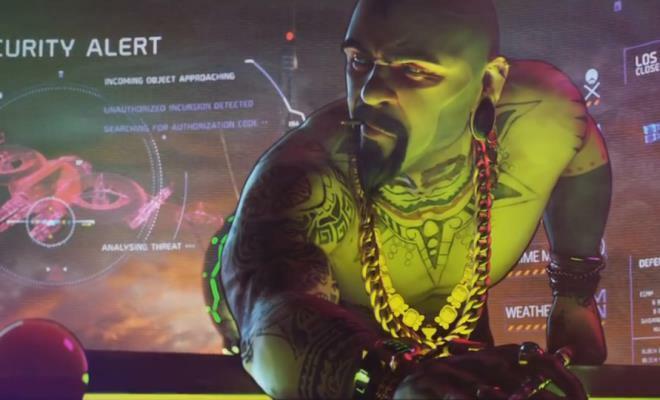 The trailer you saw was for a game called Crackdown: Generic Subtitle Impending, a reboot to the series, says Microsoft Studios Creative Director Ken Lobb. "You can blame me for 20 percent of that," Lobb says in an interview with Eurogamer. "I don't like X game number seven. It's a good idea sometimes to have a game with a subtitle. But some games, and Crackdown is a perfect example, is it really 3? "It is the future. This is a different place, long after the original game. But is it 2? Is it a different universe than 2? Yeah, it's kinda a sequel to 1. It's Crackdown." A little cryptic in his explanation as to where this game takes place in the timeline, and it almost seems like he doesn't know himself. One thing is true though. Ken Lobb does not like easy to understand numbers, and prefers subtitles. I wonder what generic moniker is going to be slapped on to this new game. Ascension, Origins, Revelations, Awakening, Unleashed, Legends, Evolution, Future Beat? Actually, that last one is kinda cool. Crackdown: Future Beat. Call me, Microsoft. We'll talk. This new Crackdown has a lot going for it, especially the return of the first's unique sense of style and the essential voice of Michael D. McConnohie returning as the agency director, but best of all, the creator of the original is coming back. David Jones, also the creator of Lemmings and a little game series called Grand Theft Auto, is back in the director's chair after sitting out on the second game to make the failed cops and robbers MMO, APB: All Points Bulletin. "Crackdown is my favourite game of all time," Lobb continues. "I absolutely love Crackdown 1. I just love it. I've known Dave forever. I worked with him when I was at Nintendo. When I first came to Microsoft they'd already signed Crackdown. I was like, perfect, I know Dave. So, we took a while and made Crackdown 1. Crackdown 2 we kinda rushed. Sorry. I liked it. It wasn't Crackdown 1. He went off and did APB, did some other stuff, but we've always stayed in touch. We've always wanted to redo it, and he finally got together with these guys and we were like, okay, great, awesome. Then Phil [Spencer, Xbox boss] started Tweeting and wearing T-shirts." I'd call the announcement of Crackdown one of the highlights of Microsoft's E3 show, and I'm really pumped to see more. The original was just an afterthought on the Xbox 360 for many people looking to play Halo 3. It turns out that in the right hands, this franchise has the legs to stand on its own. I just hope Microsoft doesn't screw it up with a stupid subtitle. Really Microsoft, I'm okay with just a "3" on the end of that title. There is nothing wrong with simplicity. Ask Final Fantasy.